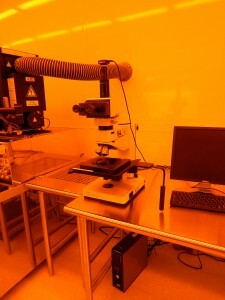 Please find a comprehensive catalogue of the Singh Center’s high-performance equipment for nanotechnology research, easily accessible to faculty, staff and researchers. 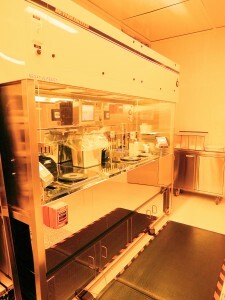 minutes, making it ideal for universities and R&D as well as small-volume production applications. 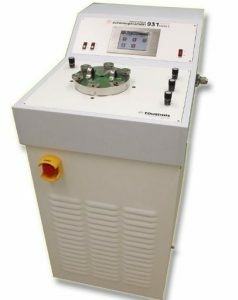 Known for its high level of automation and reliability, the EVG620 Bond Alignment System is designed for wafer-to-wafer alignment up to 150 mm wafer sizes. The EV Group´s bond alignment systems offer highest precision, flexibility, ease of use and modular upgrade capability and have been qualified in numerous high throughput production environments. 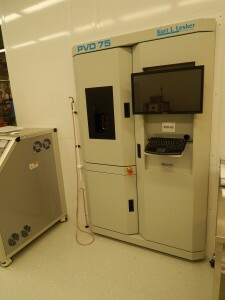 The precision of EVG´s bond alignment system accommodates most demanding alignment processes in MEMS production and in emerging fields like 3D integration applications. 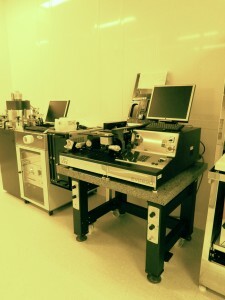 Aluminum wire wedge bonder. It provides digital controls with semiautomatic bonding cycle, but manual alignment. 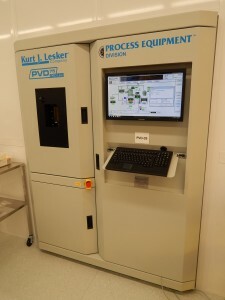 The SCS Labcoter® 2 (PDS 2010) vacuum deposition system is specifically designed to bring Parylene technology to the laboratory. Its size and portability make it the ideal choice for universities and research institutions looking to to develop and design with Parylene conformal coatings. 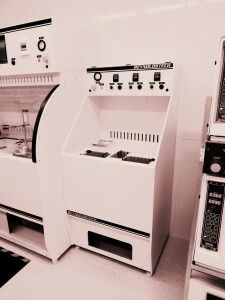 Anatech USA’s SCE-100 Series Inductively Coupled (ICP) Plasma systems are extremely effective for a Plasma Ashing process to remove organics prior to thin film deposition and/or chemical analysis of remaining inorganics. The Oxford 80+ offers versatile reactive ion etch solutions on one platform with convenient open loading. 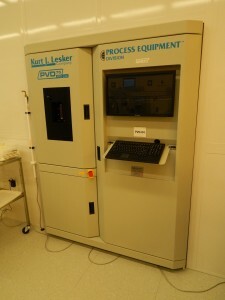 This compact, small footprint system is easy to use, with no compromise on process quality. 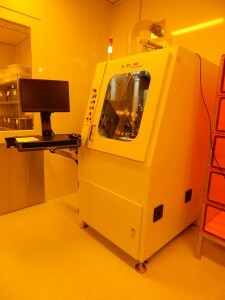 It is ideally suited to R&D or small-scale production, and can process from the smallest wafer pieces to 200mm wafers. 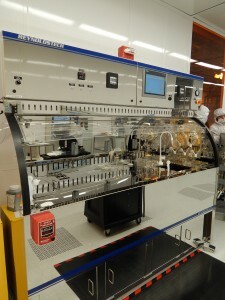 The open load design allows fast wafer loading and unloading, ideal for research, prototyping and low-volume production. With an installed base of over 1000 DRIE process modules, SPTS’ market-leading position is spearheaded by the Rapier module, which etches Si using Bosch switched processing as well as non-switched etching for tapered profiles, wafer thinning and via reveal. Delivering unparalleled process capability with world-class productivity & cost of ownership benefits, SPTS’ DRIE process modules are used in a wide variety of applications across multiple end markets. 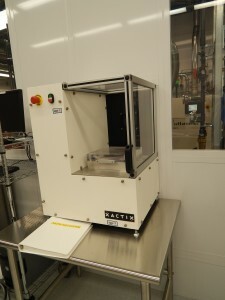 Built for simplicity, and a small footprint, the Xactix® e1TM is the ideal solution for requiring an R&D xenon difluoride etching system. 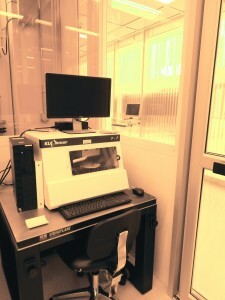 This table top etcher is ideal for small volumes in QNF. 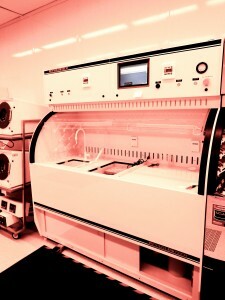 The Phantom III RIE is designed to supply research and failure analysis laboratories with state-of-the-art plasma etch capability using single wafers, dies or parts using fluorine and oxygen based chemistries. The system has a compact, modular design built on a space-saving platform. The cathode and anode are each machined out of single blocks of aluminum. After critical inspection they are hard anodized for protection from process chemistries. The bottom electrode is available in 150mm size and can process single wafers, dies or parts (2″ – 150mm). Process gases are introduced into the chamber either by a showerhead manifold (BCl3, Cl2, Ar and SF6). Accuracy of better than 1% over the resistivity range from 1 milli-ohm to 2 Meg-ohms per square. In Extended Focus operation, the images of 3D structure can be acquired at different focus positions, and automatically combined as a sharp 2D image. 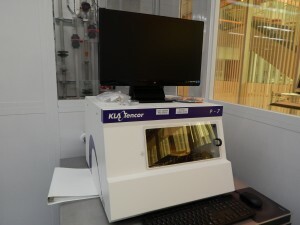 A highly configurable laser work cell for general purpose and small-scale production applications. 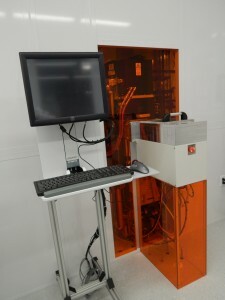 The system combines a Class 1 workstation integrated with a fiber laser and all necessary software. Configurable options, available with initial order or as a field upgrade, include: Ablation or Thermal Cutting & Drilling, Part Handling & Moving, Beam Formation, Delivery & Scanning, Vision System and Alignment. 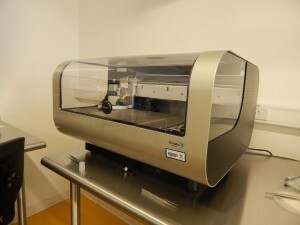 Additional options and accessories further extend the versatility and application of this easy- to-use laser micromachining system. The IX-200-F can be configured with basic functionality as an entry-level system, as a fully equipped, highly precise machining tool compatible with any micromachining application, or anywhere in between. 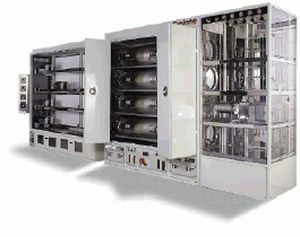 The modular design allows users to buy the capability needed today and expand through field upgrades as requirements evolve. 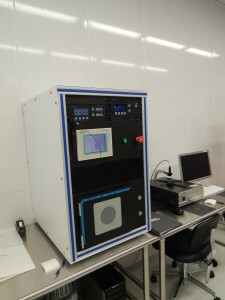 A highly flexible UV laser micromachining system for multi-purpose, R&D and production applications. 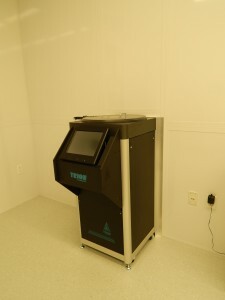 The system combines a Class 1 workstation integrated with a proprietary UV laser, tool shape selector and software for complex automation sequences. The DMP-2831 allows the deposition of fluidic materials on an 8×11 inch or A4 substrate, utilizing a disposable piezo inkjet cartridge. This printer can create and define patterns over an area of about 200 x 300 mm and handle substrates up to 25 mm thick with an adjustable Z height. The temperature of the vacuum platen, which secures the substrate in place, can be adjusted up to 60°C. The DMP-2831 offers a variety of patterns using a pattern editor program. 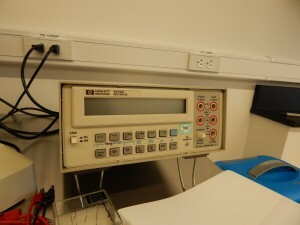 Additionally, a waveform editor and a drop-watch camera system allows manipulation of the electronic pulses to the piezo jetting device for optimization of the drop characteristics as it is ejected from the nozzle. 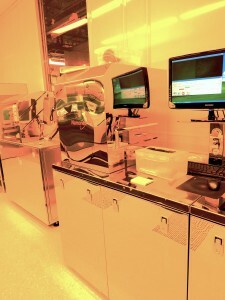 This system enables easy printing of structures and samples for process verification and prototype creation. 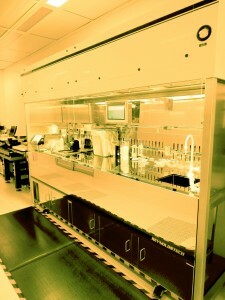 Ultra-high precision lithography with a resolution of 10 nm and with high stitching and overlay accuracy. The 2-nm diameter spot beam allows the ultra fine pattern writing of 10 nm width. 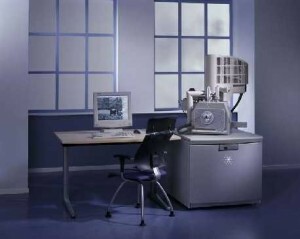 ELS-7500EX incorporates SEM function that serves for exposed pattern observation. High stitching and overlay accuracy. 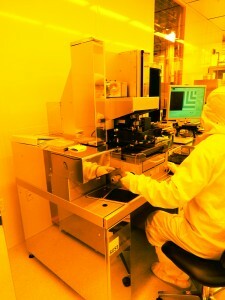 ELS-7500EX provides overlay accuracy of 30 nm that supports mix-and-match with photolithography. 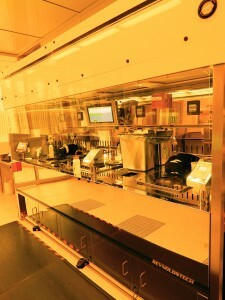 The recipe function, with saved optimum beam settings, provides the ease of the operation. 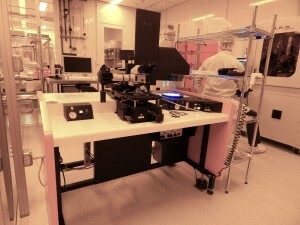 The stage with a built-in laser interferometer and beam positioning resolution of 0.31 nm with an 18-bit DAC provide a stitching accuracy of 30 nm. High performance with compact configuration. Ease of operation with PC control. Integration of a Windows compatible GUI and CAD realizes a small footprint. Electron optical condition control and CAD pattern design can be accomplished by simply using a mouse. A very user friendly system. 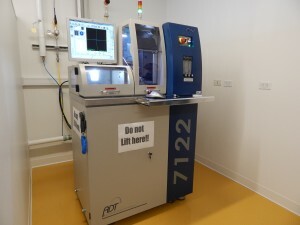 The DWL 66+ laser lithography system is a high resolution pattern generator for low volume mask making and direct writing. 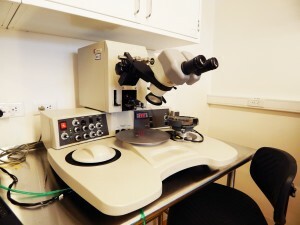 The capabilities and flexibility of this system make it the ultimate lithographic research tool in Life Science, Advanced Packaging, MEMS, Micro-Optics, Semiconductor and all other applications that require microstructures. 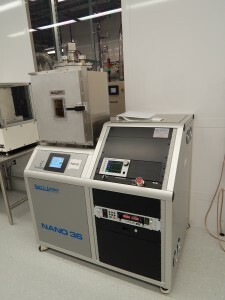 The Nanonex NX-2600 is a full wafer nanoimprinter and photolithography aligner. 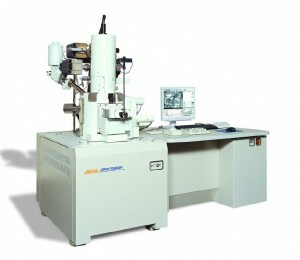 It is capable of all imprint forms: thermal, photo-curable, embossing and photolithography, with sub-5nm imprinting resolution and sub-1 micrometer alignment accuracy. Based on the Nanonex unique patented Air Cushion PressTM technology, the NX-2600 offers unsurpassed uniformity regardless of backside topology, wafer or mask flatness, or backside contamination. This ACP technology also eliminates lateral shifting between the mask and substrate, which significantly increases mask lifetime. While wet chemical surface modification can be done, vapor phase deposition has become the preferred method for coating surface as the process environment can be tightly controlled. Due to liquid surface tension, the wet process can have poor contact between the solution and the surface, especially when the surface is textured with small features. Another problem with wet processing, or solution phase deposition, is this process typically uses water. 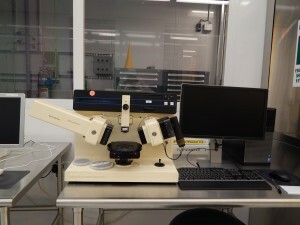 SUSS MicroTec’s proprietary AltaSpray coating technology is a unique resist deposition method that is capable of producing highly uniform resist films on different 3-D microstructures. The AltaSpray technology is capable of coating 90° corners, KOH etched cavities, Through Silicon Vias (TSVs) or lenses with topographies ranging from a few micron to 600µm or more. 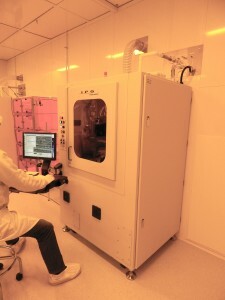 The ability to produce conformal resist coatings on severe topography makes them the ideal choice for R&D, MEMS, 3D-Integration and Wafer Level Packaging applications like 3D image sensor packaging. 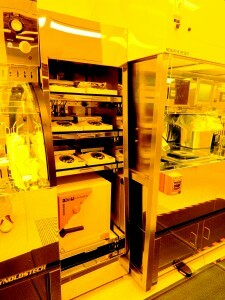 Wafer sizes from pieces to 200mm. Common resists sprayed are SU-8, S1800 and various AZ formulations. 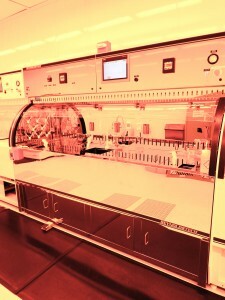 Designed for R&D, pilot line and production environments, the MA/BA6 Gen3 enables production-friendly research. 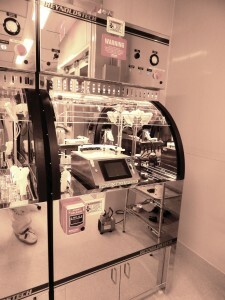 It allows easy and cost effective process transfer from laboratory to production. 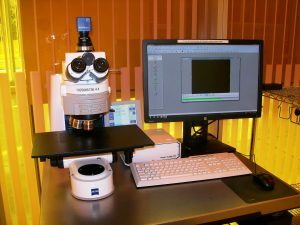 Key components such as high resolution optics, precise alignment system and graphical user interface perfectly match with the SUSS production aligner platform. The Filmetrics F50 family of products can map film thickness as quickly as two points per second. 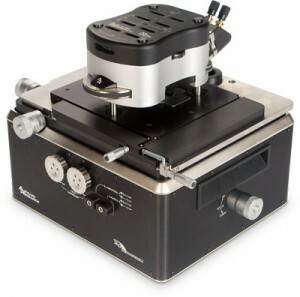 A motorized R-Theta stage accepts standard and custom chucks for samples up to 200mm in diameter. 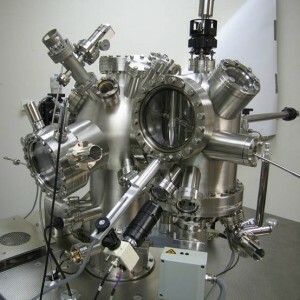 The VASE is one of the most accurate and versatile ellipsometer for research on all types of materials: semiconductors, dielectrics, polymers, metals, multi-layers, and more. The P-7 stylus profiler offers industry leading measurement repeatability for reliable measurement performance. The surface measurement system has 150 mm scan length standard – the only stylus profiler on the market to offer long scan capability without the need for stitching. The UltraLite® sensor includes dynamic force control, excellent linearity, and the highest vertical resolution making it the best sensor available on a surface measurement system. 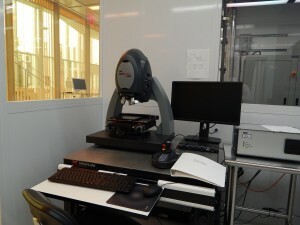 Finally, this stylus profiler’s surface measurement system includes point-and-click operation and the productivity package to offer the easiest to use tool on the market with the features required by university, R&D, and production environments. 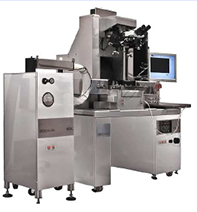 This unit is Multi-Wavelength Ellipsometer with direct readout of thickness and refractive index of single and multi-layer films. 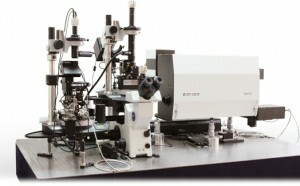 The NIR-3 optics allows user to select 405nm, 633nm and 830nm. 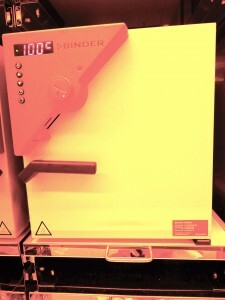 The longer wavelength option is ideal for plasma deposited films so they are rendered transparent. 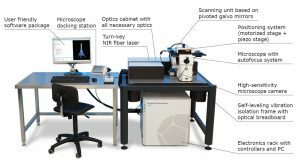 The NewView™ 7300 white light interferometer (profilometer) is a powerful tool for characterizing and quantifying surface roughness, step heights, critical dimensions, and other topographical features with excellent precision and accuracy. 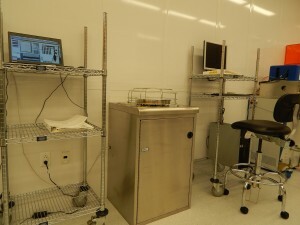 All measurements are nondestructive, fast, and require no sample preparation. Profile heights ranging from < 1 nm up to 20000 µm at high speeds, independent of surface texture, magnification, or feature height! Using ZYGO’s Coherence Scanning Interferometry (CSI) technology, the NewView™ 7300 3D optical surface profiler easily measures a wide range of surfaces, including smooth, rough, flat, sloped, and stepped surfaces. 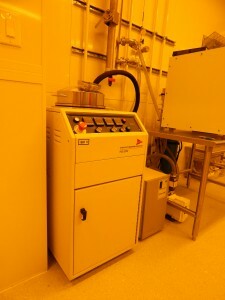 Applications: Controlled-environment AFM (fluid, purged gas, temperature- programmed). Polymers, electrochemistry, force spectroscopy. 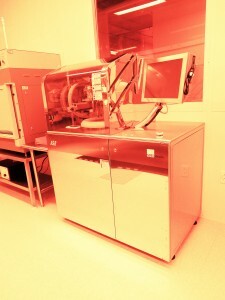 Magnetically-excited AFM. 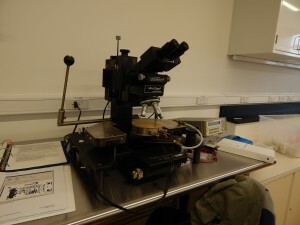 Stiffness and adhesion measurements, frictional force imaging. 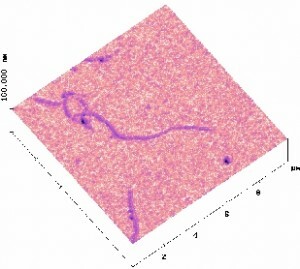 Nanolithography, electrostatic force microscopy, and scanning surface potential. 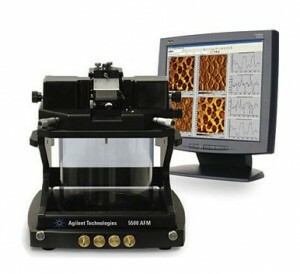 Conductive AFM, magnetic and piezoresponse force microscopy. PeakForce (with quantitative nanomechanics), tapping, contact, lateral force, magnetic force spectroscopy, Kelvin probe, conductive AFM, tunneling AFM, electrostatic force, magnetic force, piezoelectric force, torsional resonance mode. 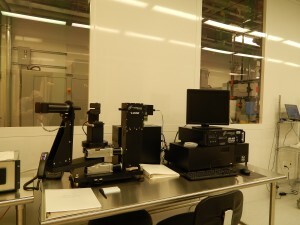 Applications: Nano-mechanics, whole-wafer inspection, scanning conductivity/resistance microscopy. 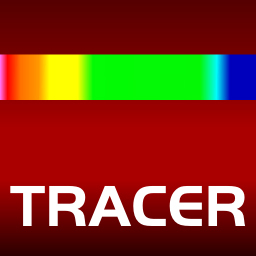 Thermal AFM. 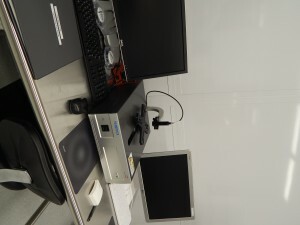 Electrical measurements of soft materials. Fluid tipholder. Applications: Conductance, resistance, impedance, capacitance measurements of circuits, devices, and resonators. 1800, 600, and 150/mm gratings and 75/mm Echele. 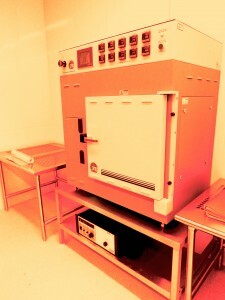 Cooled CCD/EMCCD detector. 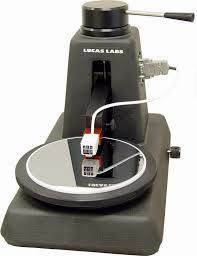 Contact, tapping, force mapping, Kelvin probe, conductive AFM, lateral force. 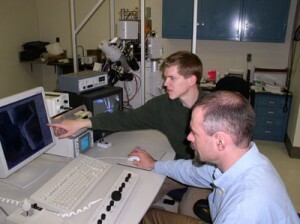 Tuning fork AFM allows custom-cut and etched metal probes. 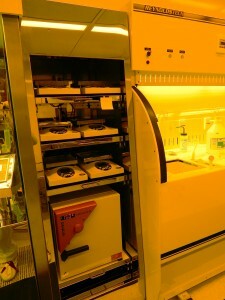 Enclosures for each scanner for gas purge. 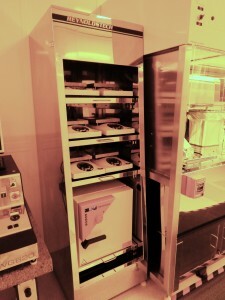 Heated sample stage, fluid cell. 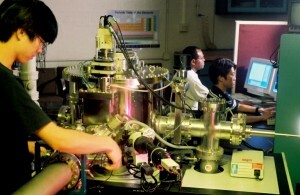 Applications: Simultaneous chemical and topographic/mechanical analysis. 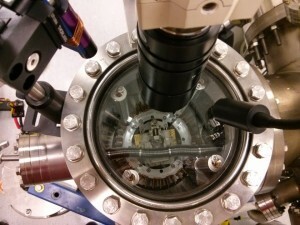 In situ temperature measurement. 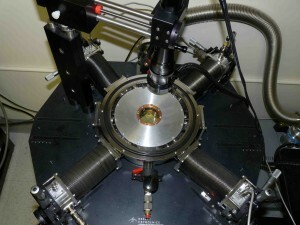 AFM-aperture optical microscopy. 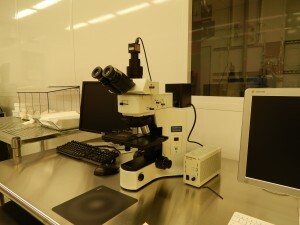 Optical devices such as semiconductor lasers, waveguides, and plasmonic devices Investigation of cellular tissue, DNA, viruses and other biological objects. 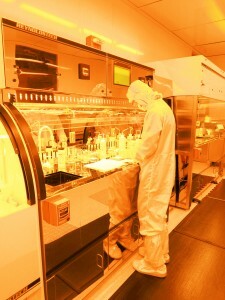 Nanotubes, nanowires, and quantum dots. Applications: Mechanics of cells, tissues, and polymers. 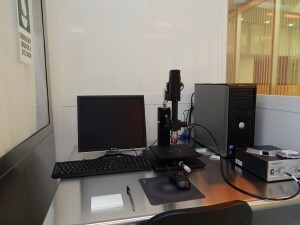 Tagging and identification of cells, proteins, and molecules. 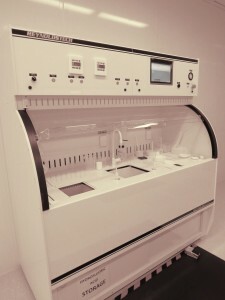 Controlled dosing of samples via micropipette. Controlled environment (fluid, temperature) experiments. Applications: Atomically-resolved imaging of surfaces. Surface reconstruction. Friction and adhesion measurements. 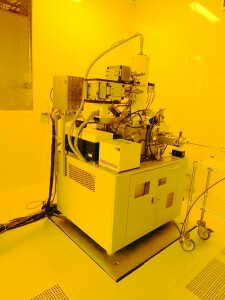 Surface potential and conductive AFM. 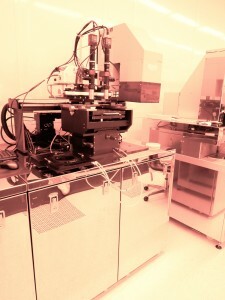 Scanning Gate Microscopy. 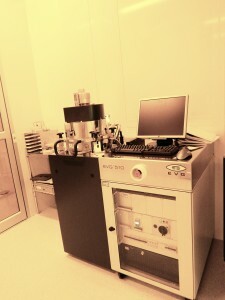 Scanning Kelvin Probe + Local dielectric AFM. 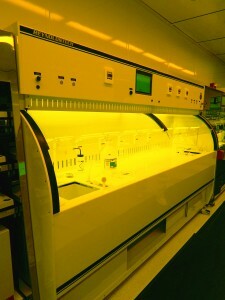 This is the first of two PPMS systems in the facility. It provides magnetic field up to 9 T and temperatures from 1.7 K to 400 K. Users are able to perform DC magnetic moment, AC magnetic susceptibility, 2- and 4-wire magnetoresistance, photoconductivity, and Hall effect. This system benefits from the PPMS EverCool-II™ dewar, which is the second generation of low-loss dewars with integrated Helium liquefier for the PPMS system from Quantum Design. 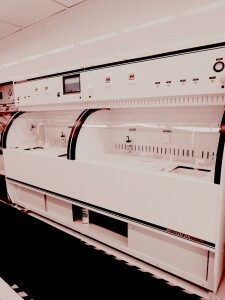 It allows the continuous operation of the PPMS System without the supply with liquid Helium. 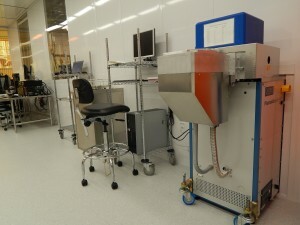 The system is cryogen free for the user, and can hold temperatures below 2 K indefinitely. 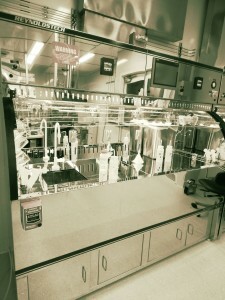 This is second of two PPMS systems in the facility. 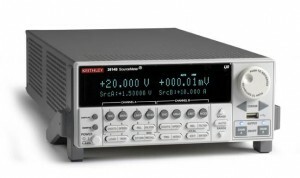 It provides magnetic field up to 9 T and temperatures from 1.7 K to 400 K. Users are able to perform 2- and 4-wire magnetoresistance, thermal conductivity, heat capacity, Seebeck coefficient, and Hall effect measurements. 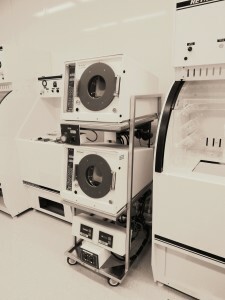 The system is equipped with a turbo pump for the sample chamber. 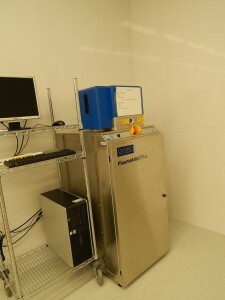 Quantum Design’s MPMS-XL provides sensitive SQUID (Superconducting QUantum Interference Device) magnetometry capabilities using Quantum Design’s Reciprocating Sample Option (RSO). In practice, we observe a noise floor of <10-8 emu for DC moment measurements. 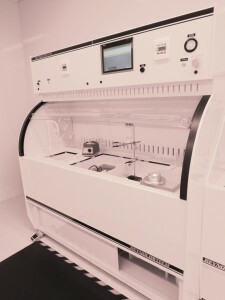 The system provides magnetic fields up to 7 Tesla and temperatures nominally between 2 K and 400 K. The MPMS has a fiber insert that permits studies of optically pumped magnetization, and an oven option that allows measurements up to 800 K when special needs arise. 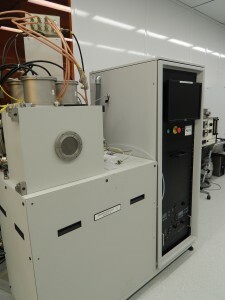 The TriVista system is a triple spectrometer that has multiple input and detection ports that we can configure to provide Raman scattering down to 5 cm-1, photoluminescence excitation/emission spectral mapping, absorption, as well as spatial imaging of Raman scattering or photoluminescence with an infinitely tunable (in width and center wavelength) bandpass filter from 350 nm to 1000 nm. 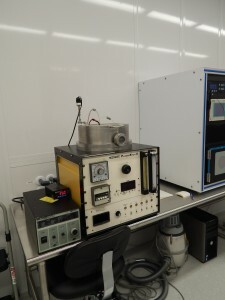 For Raman scattering, the system can operate in either additive mode for high resolution experiments or in subtractive mode for extreme stray light rejection. 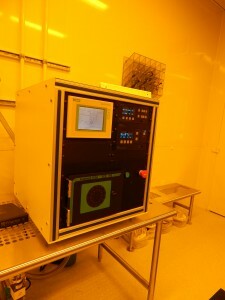 The system has both Si and InGaAs detectors, providing detection bandwidth from 350 nm to 1.7 microns. 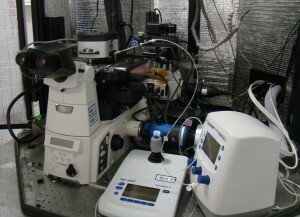 Light sources include a Xenon lamp (from which any spectral range can be selected without altering the illumination profile) and a laser at 532 nm. 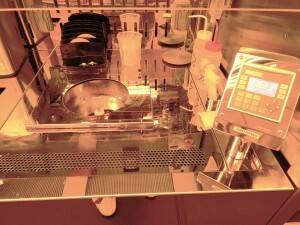 We are able to measure samples on solid substrates and liquids within cuvettes. 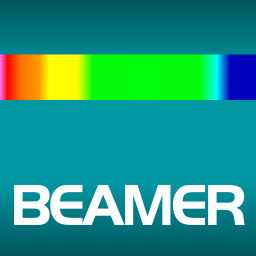 Custom Optical Systems for Absorbance, Photoluminescence and Raman Scattering.